In its current implementation, the Touch ID fingerprint sensor for both iPad and iPhone is tied to the lock screen passcode. This makes sense for the iPhone, which you take with you and are liable to lose in public. However, I can't help but feel like there must be a better way to implement Touch ID on the iPad. My iPad almost never leaves my home, and I use it with a Smart Cover. Over the years, I've come to enjoy the auto-unlock feature, which unlocks the display once the Smart Cover is removed from the screen. But after upgrading to the new iPad Air 2, I've found there's no good way to continue using the smart unlock feature with Touch ID. Touch ID for App Store and iTunes Store purchases is great. And Apple Pay integration is also a welcome feature on the latest iPads. 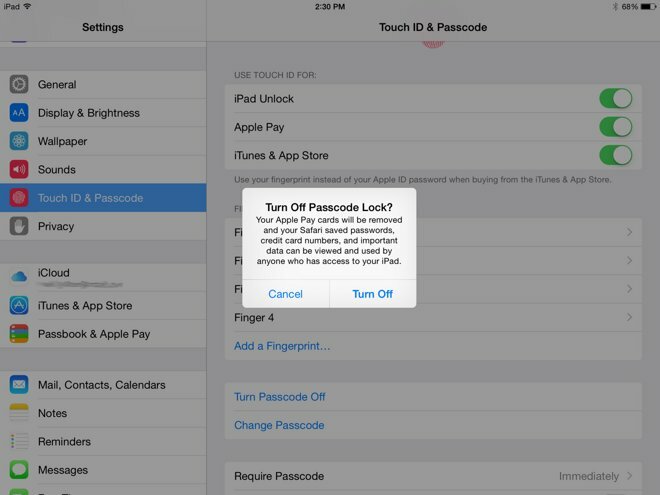 But neither of these features can be used without a passcode lock enabled on the iPad. What I'd like to be able to do is enable Touch ID support for purchases, third-party app logins and otherwise, without having a lock screen passcode. I'd like to get my Smart Cover unlock functionality back. Considering the vast majority of my iPad usage takes place within my own home, a lock screen passcode is unnecessary. 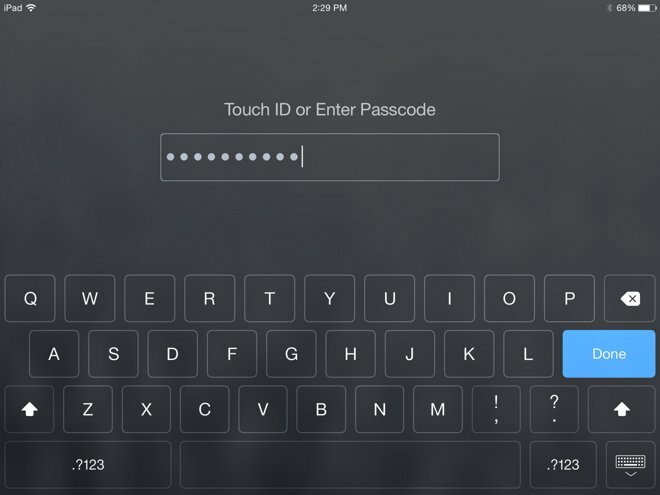 But the convenience of Touch ID when passwords are necessary remains. Through a number of patent filings, we know that Apple has explored location-based security settings, which could allow users to set their own "trusted" areas where a device could be freely used without the need for passcode entry. It would be nice if I could disable the lockscreen passcode on my iPad, and allow the Smart Cover unlock feature, when it is being used at my home, while Touch ID authentication would automatically be enabled when my iPad is used on the go. Unfortunately, Apple's current implementation of Touch ID on iPad doesn't feel as though it is well thought out. It's clear that Touch ID for iPad is just an extension of what has already been successfully established on the iPhone. But the iPad is a different device than the iPhone, with very different use cases. It should be treated differently. At the moment, I can disable Touch ID support for the iPad lock screen, which allows me to disable the passcode requirement for up to four hours after the device has been unlocked, thus temporarily enabling the smart unlock capability. But after four hours of not being used, the iPad once again requires a passcode entry, and it will not accept Touch ID. 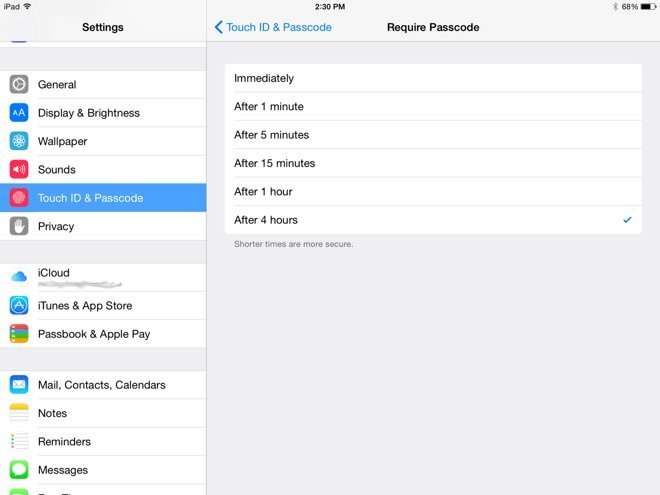 Enabling Touch ID disables this four-hour window. For those more interested in the Smart Cover unlock feature than Touch ID, Apple allows Touch ID to be disabled entirely. But again, this feels like a step backwards. Touch ID lockscreen security is undoubtedly an important feature for a number of users, particularly companies looking to roll out secure tablets to their workforce. But surely there is a significant number of home users— myself included— who are less concerned about security and more about convenience. 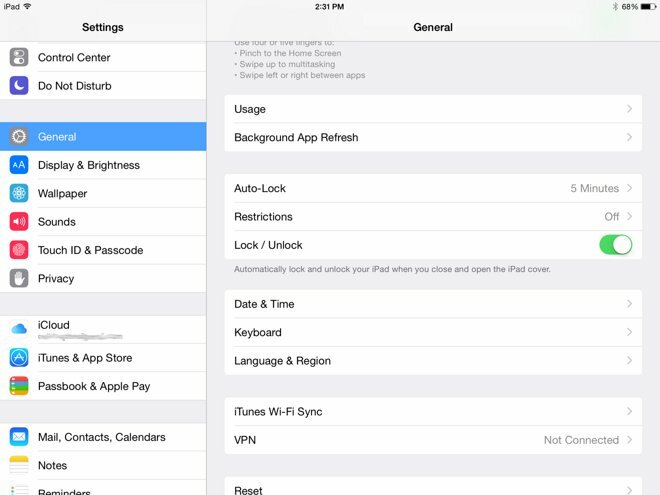 In this case, while Touch ID is more convenient for App Store purchases, it's less convenient on the iPad lock screen. For now, I'll keep Touch ID enabled on the lock screen. But I'm considering ditching my Smart Cover, which adds weight to my iPad and no longer unlocks the screen. 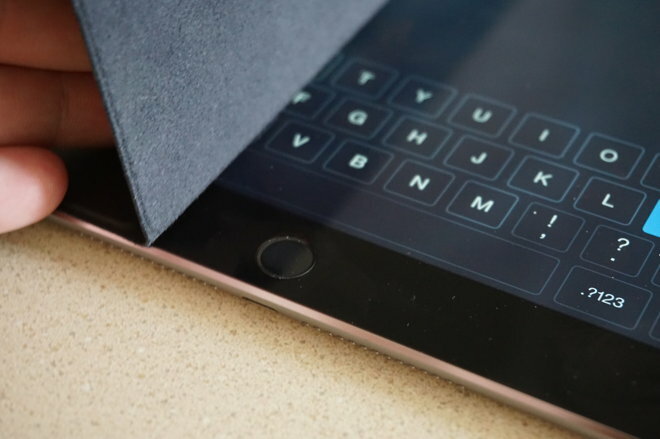 Hopefully in the future, an iPad-specific change will provide me with the best uses of both Touch ID and Smart Cover.